You may have seen a movie or two where a “whistleblower” was at the core of some takedown of a corrupt company causing cancer by polluting the water or covering up the harmful side effects of their popular product. These movies are generally very dramatic and involve some life-or-death situation. In real life, being a whistleblower can be that dramatic, but in most cases, it is more bureaucratic. As far as the Tax Man is concerned, he just wants to get the money he is owed. The biggest crimes the IRS is concerned with involve whether or not a person or company tried to avoid paying the taxes they rightfully owe, and it has set up a whistleblower program to help uncover these crimes. So what is a whistleblower? For the IRS, it is a person who provides information about tax problems such as under reporting income, failing to file a return, hiding assets, overestimating deductions and so on. Whistleblowers may just provide a tip about the wrongdoing, or they may provide documentation of it. If the IRS uses that information and collects on a case, the whistleblower can receive payment. The IRS recognized that it needed to do more to uncover tax fraud and evasion, and it decided that it needed to provide some motivation for others to report the problem. Therefore, it worked with Congress to get the Tax Relief and Health Care Act of 2006 passed. The act established a whistleblower program, including rules for what information qualified and what rewards would be provided. The act also established the Whistleblower Office and created a hierarchy for oversight and management. The act was sponsored by U.S. Senator Charles Grassley (R-IA) and signed into law by President George W. Bush. It was modeled after the False Claims Act, which allows people to take actions against federal contractors engaged in fraud against the government. Revisions have been made to the act a few times, but it has been a successful tool for the IRS to collect unpaid taxes. In 2012, the IRS collected more than $592 million in unpaid taxes from more than 8,600 cases. The agency also paid out more than $125 million in awards to the tipsters, which accounted for a little more than 21 percent of the amounts collected. You can report any tips of tax wrongdoing to the IRS no matter who you are or how small the case is. The agency will always appreciate any help in tracking down those who are trying to shirk their tax obligations. However, if you want to get a big reward as a whistleblower, you will need to meet some criteria first. The time limit is extended to six years if the case involves underreporting income by 25 percent or more. If tax evasion is involved, there is no time limit for reporting. The IRS must also use the information you provide to prosecute or settle a case in order for you to qualify for the reward. The reward is dependent on a number of factors, including the type of information you provide and how valuable it is to prosecuting the case, as well as how much the IRS is able to collect. If you can provide documentation of some kind rather than just an anecdote or hearsay, you will increase your chances of being able to collect a reward. The case must be worth at least $2 million, including the interest and penalties involved. You may then get a reward that is worth between 15 percent and 30 percent of the amount the IRS collects. That means that if you have met only the minimum, you will get a reward between $300,000 and $600,000. Your reward will be taxable itself, so make sure you work with an account or tax lawyer in Cave Creek to meet your obligations so you don’t end up on the other side of the law yourself. You also need to be careful when you are reporting the case if you can be implicated in the fraud yourself. If you are knowingly committing illegal activity, you need to stop right away. You then need to call a tax lawyer and figure out what your next steps should be to minimize your liability. You may still be able to collect a reward, depending on the extent of your involvement. 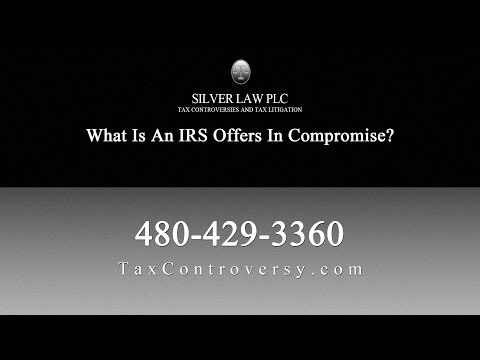 The experienced tax attorneys at Silver Law PLC in Arizona are ready to help you. Our attorneys represent clients in a variety of civil and criminal tax cases, including litigation and collections. We handle cases involving tax fraud and evasion, foreign tax reporting and more. We can help you understand your rights as a whistleblower and file a claim on your behalf, or we can help you protect your rights if you have been involved in a fraud case. Is My Offshore Tax Haven Illegal?